We all need our daily dose of fruits and vegetables. But it’s not just consuming them that will give you positive effects. These natural vitamins have another purpose: To make you laugh. Some of these fruits and veggies aren’t really aware that they are food. Instead, they think they’re people, animals, everyday objects, maybe even a human foot. 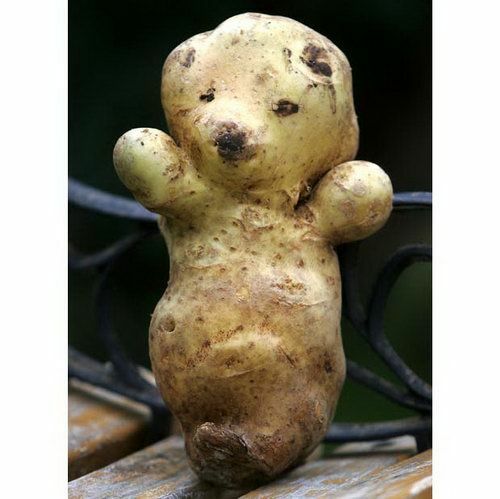 Check out these 20 fruits and veggies, that look like other things, for your daily dose of humor! 1. Let me get a big bear hug! 2. I’ve never seen a red duck before. 3. A casual stroll in the garden. 5. 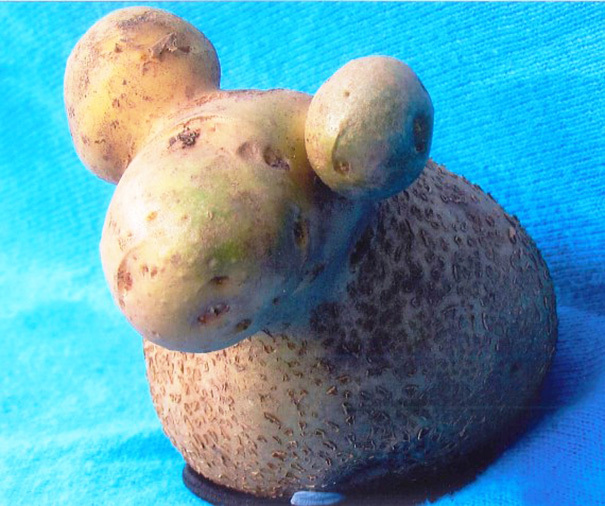 This potato was feeling sheepish. 6. Put your green foot forward. 7. What a lucky duck.